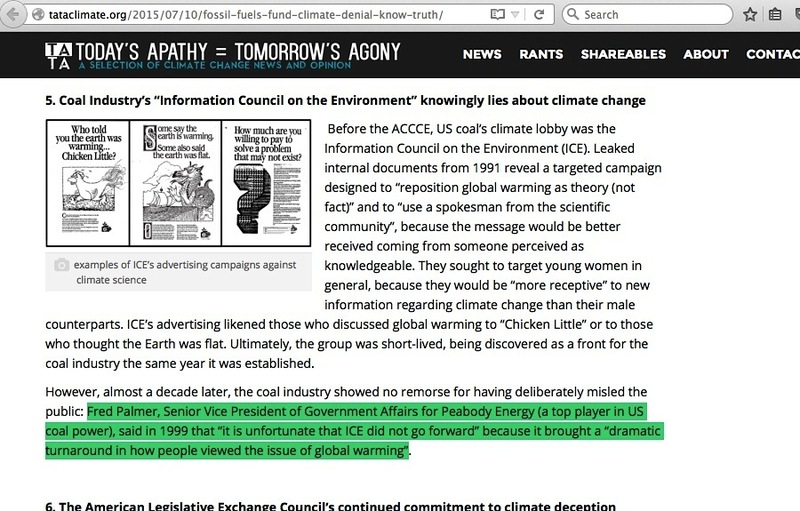 Today, yet another illustration of what happens when efforts are made to dig below the surface of any given facet of the ‘industry-corrupted skeptic climate scientists’ accusation, part three of my dissection of Australian professor/lecturer Sharon Beder’s assertions about the old 1991 Western Fuels Association “Information Council for the Environment” (ICE) pilot project PR campaign. 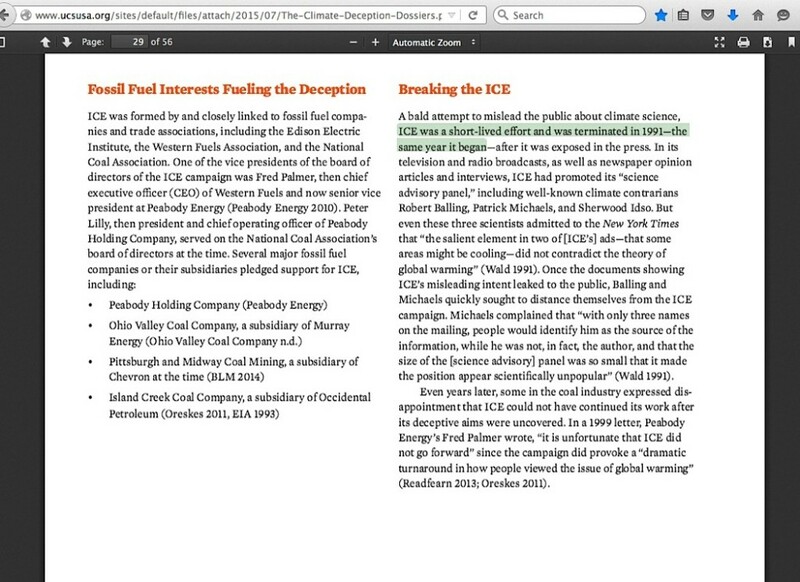 Nevertheless, Palmer of Western Fuels said in a 1999 letter: “It’s unfortunate that ICE did not go forward” since the campaign did provoke a “dramatic turnaround in how people viewed the issue of global warming” before its demise. Since I am someone not content to simply accept some narratives without question – the basic focus of my prior post – I thought I would try to find the entire letter from Fred Palmer in its full context. When Gelbspan placed two quotes from it within quotation marks, I assume those were verbatim out of whatever letter he spoke of. So, I placed both quotes into a Google search in a way that yields only results of each specific set of words. Watch what happens for the second quote (screencapture here for good measure. The first quote, by the way, yields only Gelbspan’s page and Beder’s page). 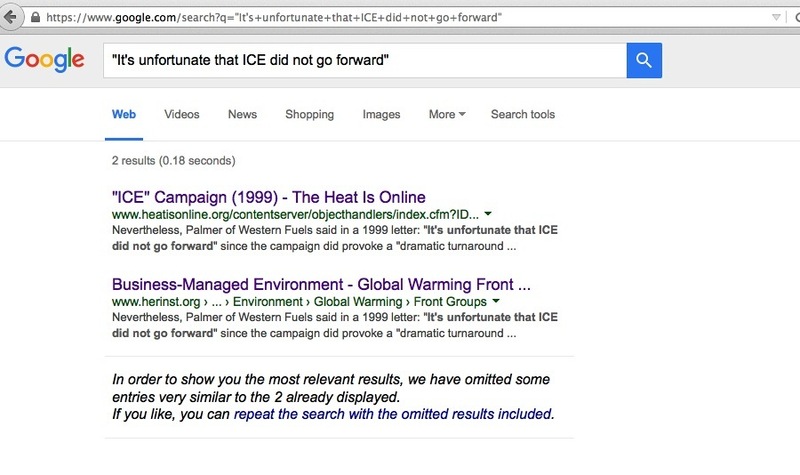 For Palmer’s letter quote on a ‘dramatic turnaround’, the first of the five Google search results is for Gelbspan’s ICE page, and the third is for Beder’s page. 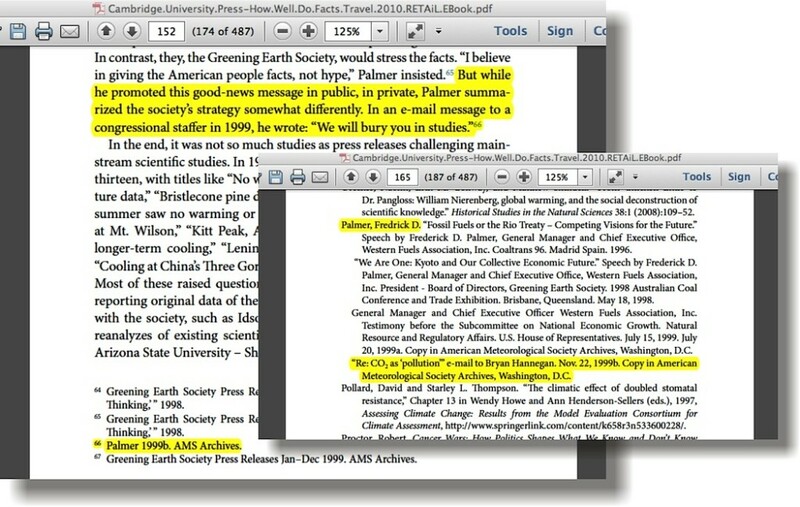 The fourth result, in speaking of the Union of Concerned Scientists’ (UCS) “Climate Deception Dossiers”, reproduces the quote without saying it came from a letter. 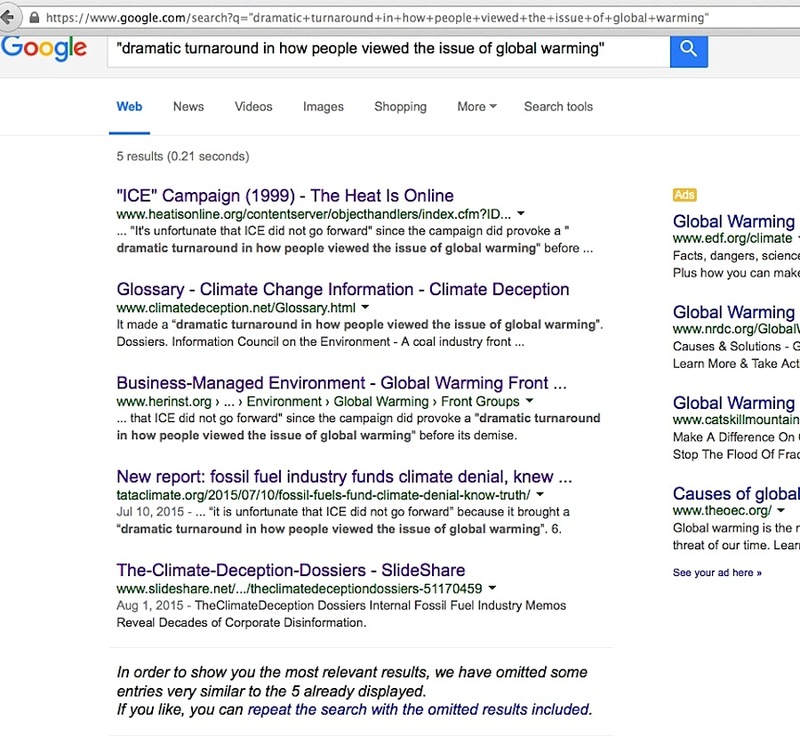 The second Google result is for some kind of ‘climate deception’ glossary of terms, with a poorly worded entry for Palmer’s quote sourced from “Dossiers”. 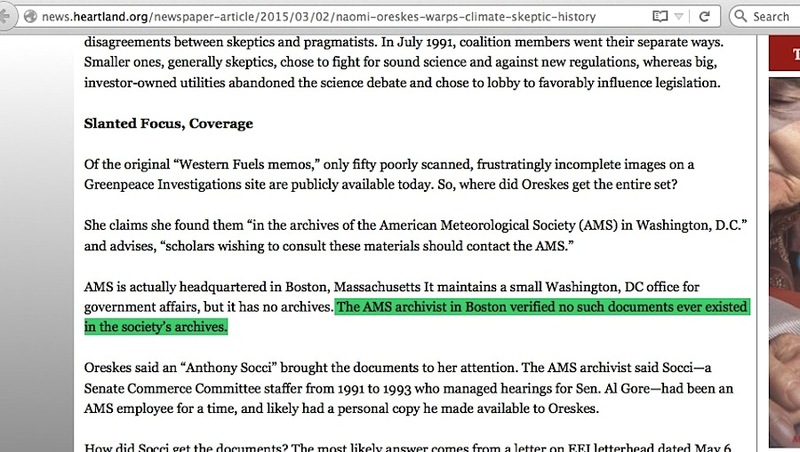 Meaning the UCS “Climate Deception Dossiers”. 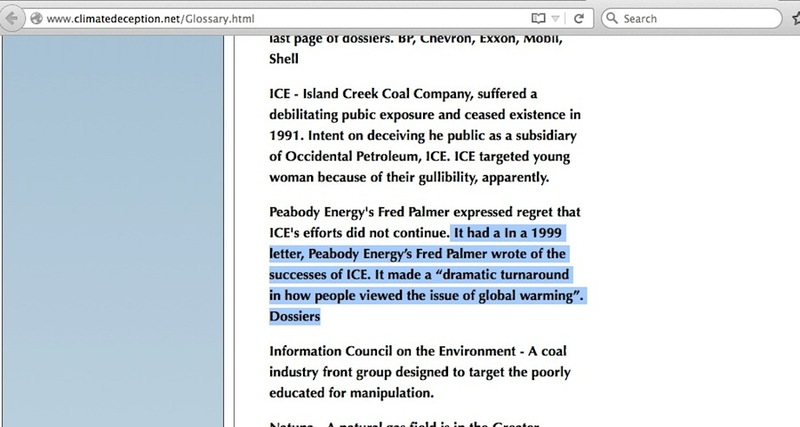 In a 1999 letter, Peabody Energy’s Fred Palmer wrote, “it is unfortunate that ICE did not go forward” since the campaign did provoke a “dramatic turnaround in how people viewed the issue of global warming” (Readfearn 2013; Oreskes 2011). 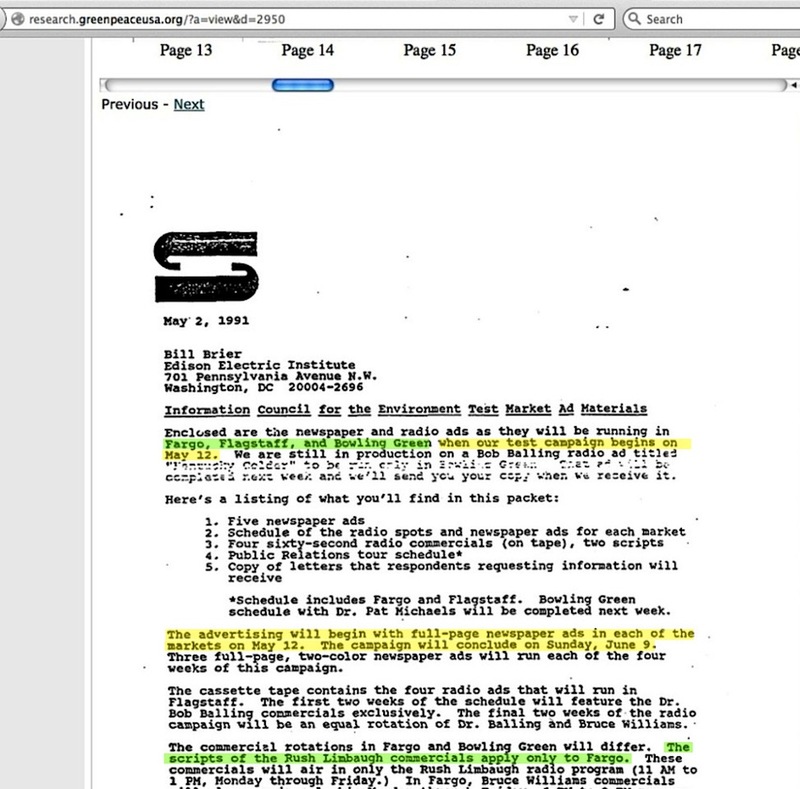 Despite the very similar wording to Gelbspan’s page, this looked like a potentially helpful development where either the Readfearn or Oreskes sources might show the letter in its full context. 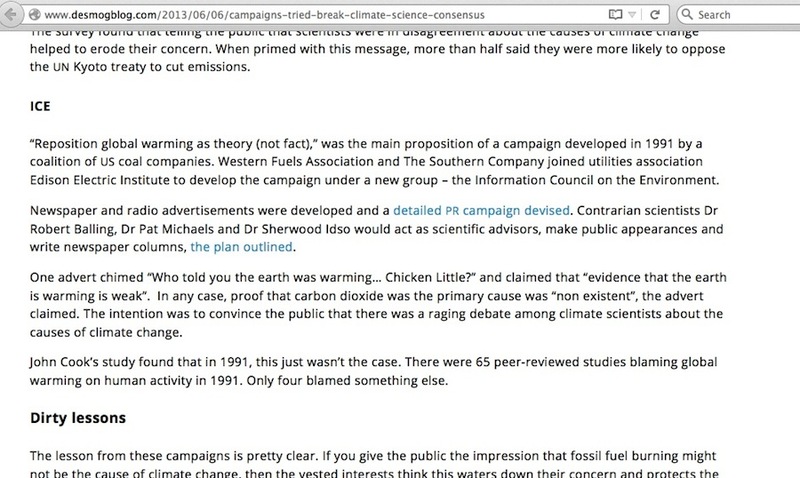 However ……..
“Readfearn 2013” refers to this Desmogblog link. Nowhere within that page or within its specific section on the ICE campaign does Palmer’s quote or letter appear. But click on the link for the words “the plan outlined” and you are taken straight to Gelbspan’s page with the Palmer quote. 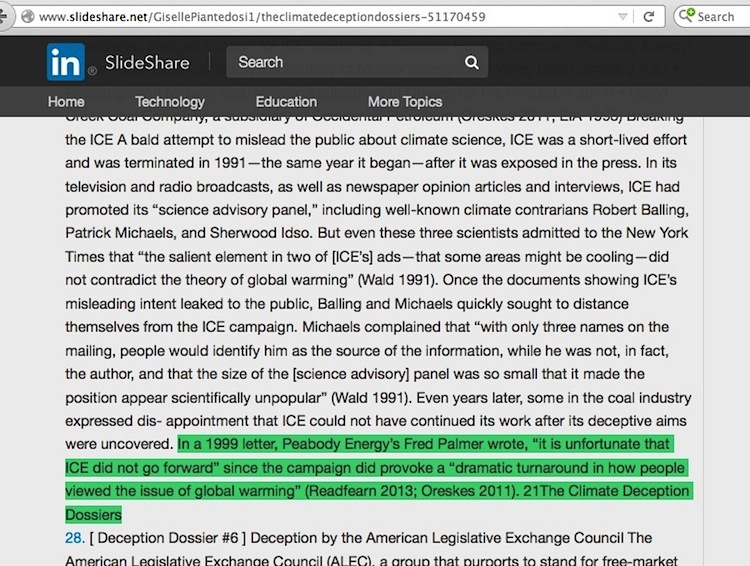 Incidentally, in my June 10, 2013 blog post, I noted how this Graham Readfearn Desmog piece was the first online place I had ever found which successfully linked straight to the “Greenpeace USA née Ozone Action” collection of ICE memos – Readfearn’s Greenpeace link is in the sentence immediately before the “the plan outlined” link. 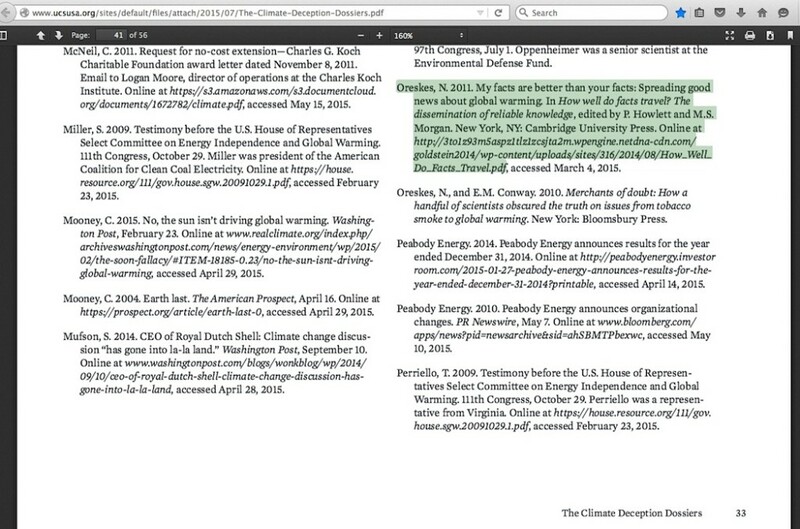 Ok, how about UCS’ citation of “Oreskes 2011”? Well, it refers to a chapter Oreskes had written for the “How Well Do Facts Travel?” book, and links to a non-word searchable PDF file copy version of the chapter. 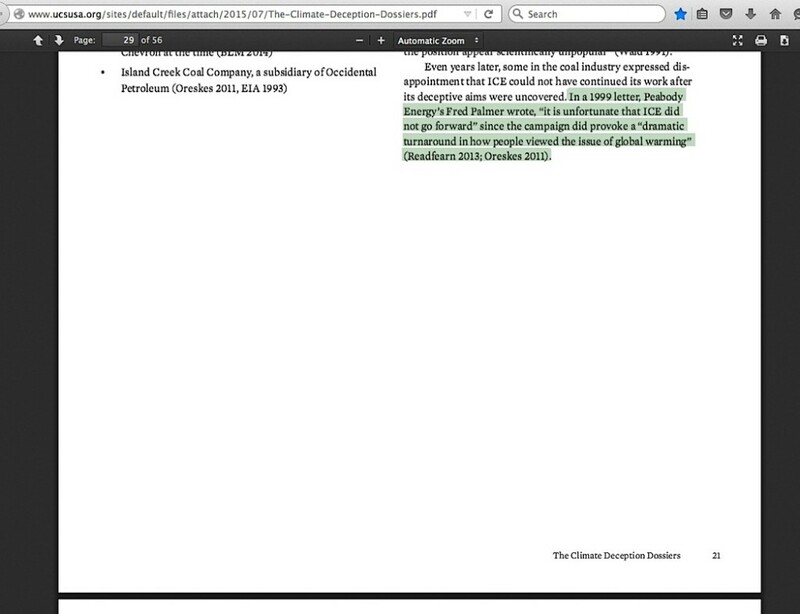 Fortunately, I found a word-searchable PDF file for the entire book. I already detailed how the UCS had dug itself into a hole by latching onto the Western Fuels “reposition global warming as theory” phrase bandwagon in a politically suicidal manner in my July 9 blog post. Out of simple curiosity inspired by Sharon Beder’s web page quote repetition of something Fred Palmer may (or may not) have said, I see the UCS dug their hole deeper than I thought. The ICE campaign radio/newspaper ad phase spanned only 29 days in just a trio of large towns, Fargo, Flagstaff and Bowling Green, from May 12, 1991 to June 9, 1991. Regarding the Limbaugh show ads, Greenpeace’s scan says “The scripts of the Rush Limbaugh commercials apply only to Fargo”, so they were likely aired only in the Fargo local radio ads within his show. Since so few would have seen or heard this obscure pilot project campaign, it defies logic that there was any kind of “dramatic turnaround in how people viewed the issue of global warming”. Yet the UCS chose to use Palmer’s quote as a dramatic end to their ICE campaign dossier narrative, despite the way it undermined an assertion they made just one paragraph above the quote. It is a perfect example illustrating how it is difficult to venture any distance into the industry-corrupted skeptic climate scientists accusation without running headlong into a pile of crippling problems. 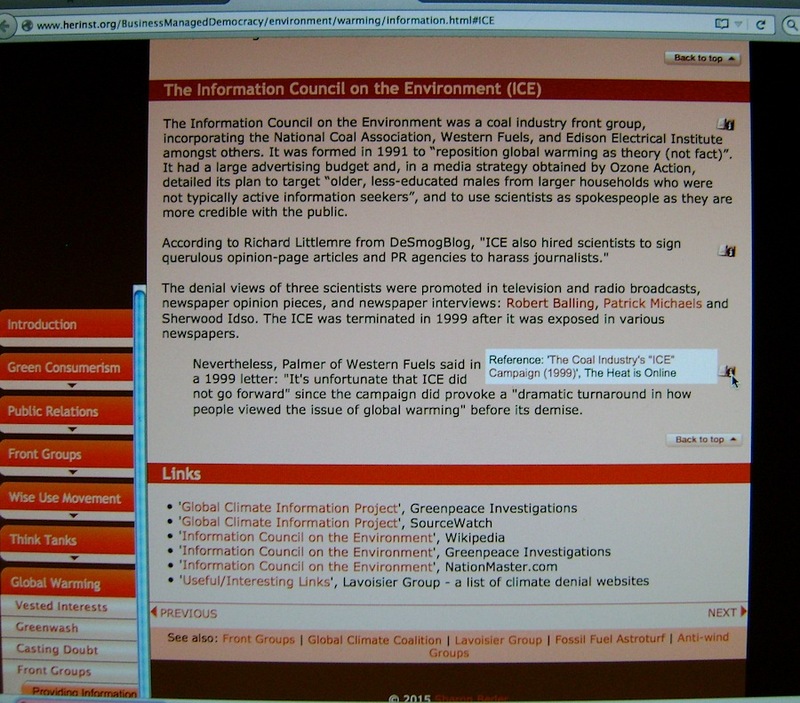 This entry was posted in Information Council for the Environment, Narrative derailment and tagged Desmogblog, Naomi Oreskes, Sharon Beder, Union of Concerned Scientists, Western Fuels Association by Russell Cook. Bookmark the permalink.